A suspect thief, already in police custody, was arraigned in court once more on Wednesday to face additional charges after incriminating phone localisation data linked him to the scene of another burglary. 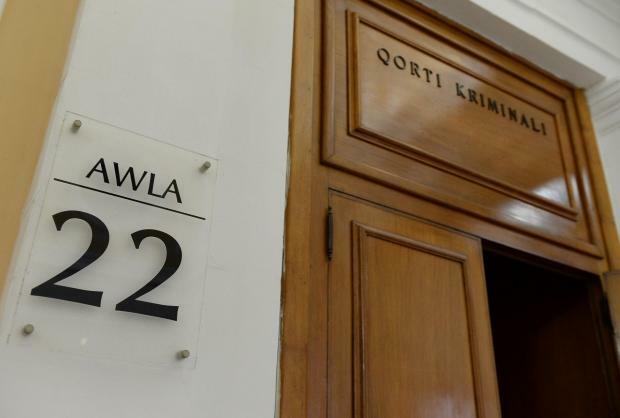 Matthew Camilleri, a 32-year old Gzira estate agent, had been arraigned last month to face 19 charges of theft, the majority of which spanned a fortnight, kicking off at the end of January. Two other thefts dated back to October and November. The thefts and attempted theft included a variety of shops, real estate agencies, insurance company offices and a service station. He had been denied bail after pleading not guilty. On Wednesday, Mr Camilleri pleaded not guilty to the theft of cash, jewellery and other items from a flat in Attard in February. Inspector Mario Xiberras explained how CCTV from the area of the burgled residence showed the suspect alight from an SUV and look at a shop window, before entering the residence, re-emerging some 20 minutes later. Moreover, the victims claimed to have spotted the suspect in the area before and mobile phone localisation data had also placed him in the vicinity of the apartment at the time of the robbery. No request for bail was made and the man was remanded in custody. Inspectors Mario Xiberras and Christina Delia prosecuted.